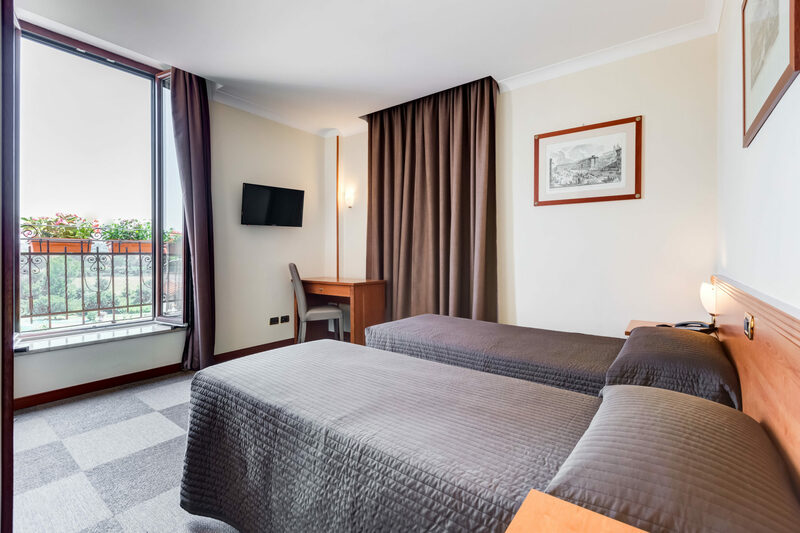 The Romoli Hotel is a stately 4-storey building, overlooking the Appia Antica Park, a place of leisure and rich in sites of historical interest, such as the Roman catacombs. It is located in the San Giovanni district - Appio Latino, a district that offers a wide range of restaurants, bars and other public services. 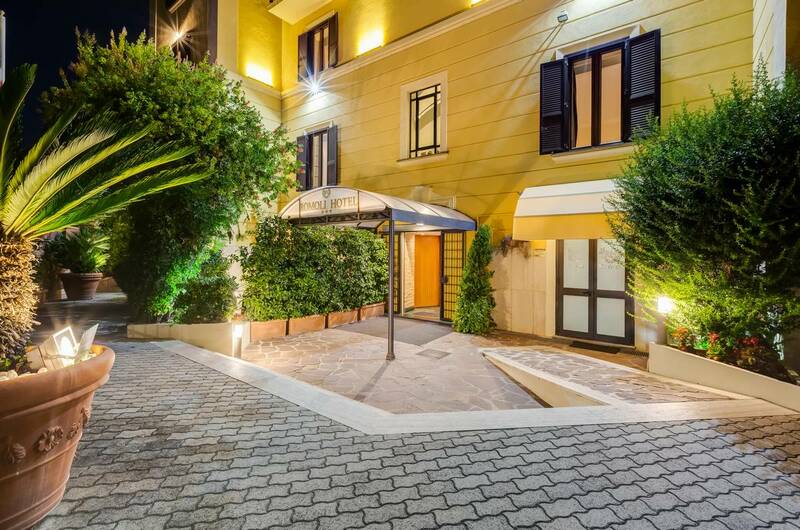 The Hotel has 42 soundproofed rooms, some of which have a balcony overlooking the Appia Antica Park. All rooms have a tatami flooring, hypoallergenic and antibacterial and are equipped with: private bathroom with tub or shower, fast and free Wi-Fi, electronic safe, blackout curtains, desk; air conditioning with independent thermoregulation, minibar, courtesy set, hairdryer, kettle on request. The continental buffet breakfast is served from 07.00 to 10.30 am in a beautiful panoramic terrace, equipped with a motorized arbour completely openable, with heating for the winter and air conditioning for the summer. 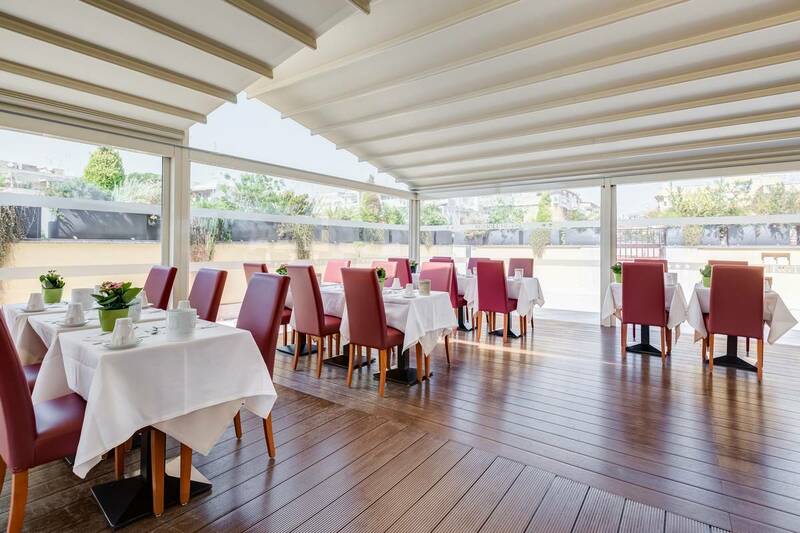 The terrace is also available for events, parties, private dinners and meetings. By booking directly with the structure or from the Official Site it will be possible to reserve your parking space free of charge, subject to availability. When you book from the Official Site you need to contact the hotel to check if there are still available parking spaces. 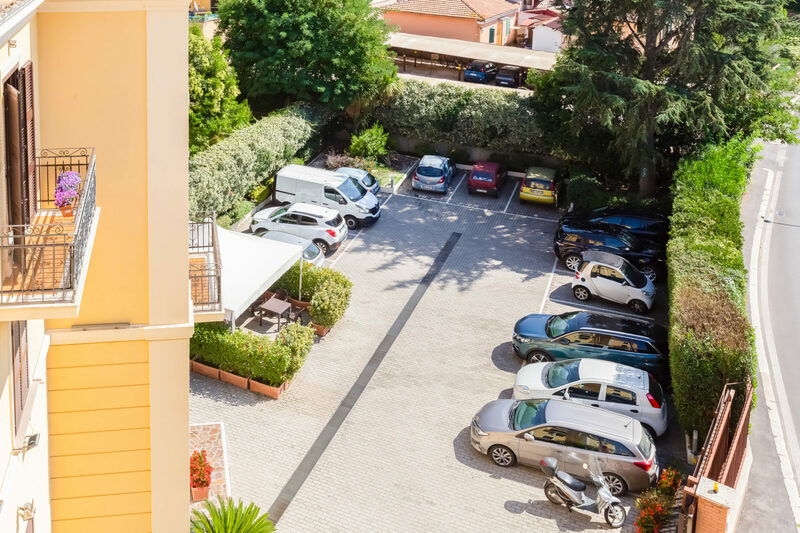 For reservations not made directly with the structure or through the Official Site the parking cannot be booked or reserved, but will be subject to availability and will have an additional cost of € 15.00 per night.